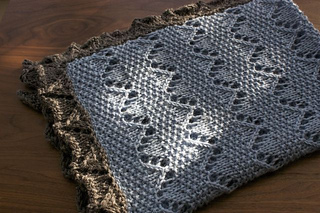 This relatively simple baby blanket is a quick knit in chunky yarn, with a border in a contrasting color. It is knit in two steps. 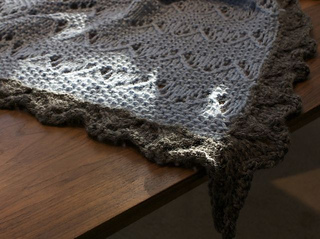 The main body is worked by alternating sections of seed stitch and a lacy zigzag pattern. After the main body is finished, stitches around it are picked up to complete the lacy border. The zigzag motif of the main body is repeated in the border pattern. 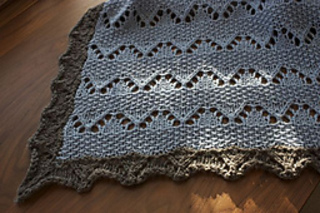 Pattern includes written instructions and lace charts.